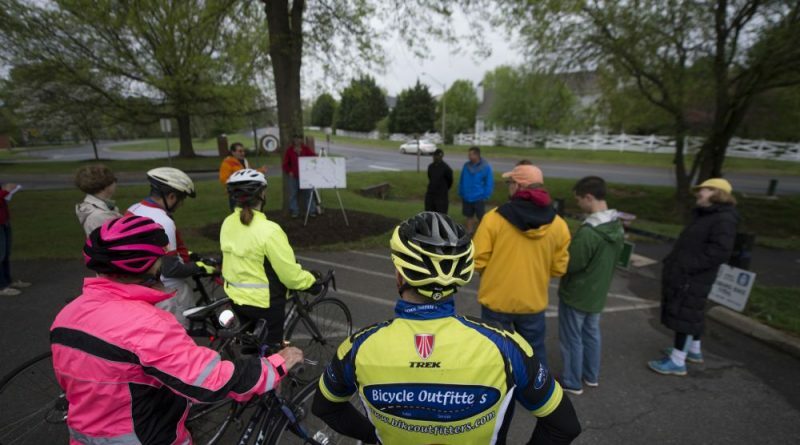 Leaders of Bike Loudoun and the Town of Leesburg debuted a new designated bike path with a ribbon-cutting ceremony Saturday morning. “We’re thinking differently. We’re thinking outside of the automobile,” Mayor Kelly Burk said at the ceremony. Two newly-designated segments of the town’s bike network—the Blue and Green Trails—are on shared-use paths, marked by distinctive trail signs at intervals along each route. The Blue Trail extends 5.5 miles, beginning at the W&OD Trail in Tuscarora Creek Park and ending at the cul-de-sac on Ball’s Bluff Road NE near the entrance to Ball’s Bluff Regional Park. The Green Trail runs for 2.6 miles, beginning at the W&OD Trail near Fox Ridge Park and ending at the intersection of Battlefield Parkway and North King Street. Cyclists can continue north on shared-use paths to Frances Hazel Reid Elementary School, Smart’s Mill Middle School and Tuscarora High School from the northern end of the Green Trail. 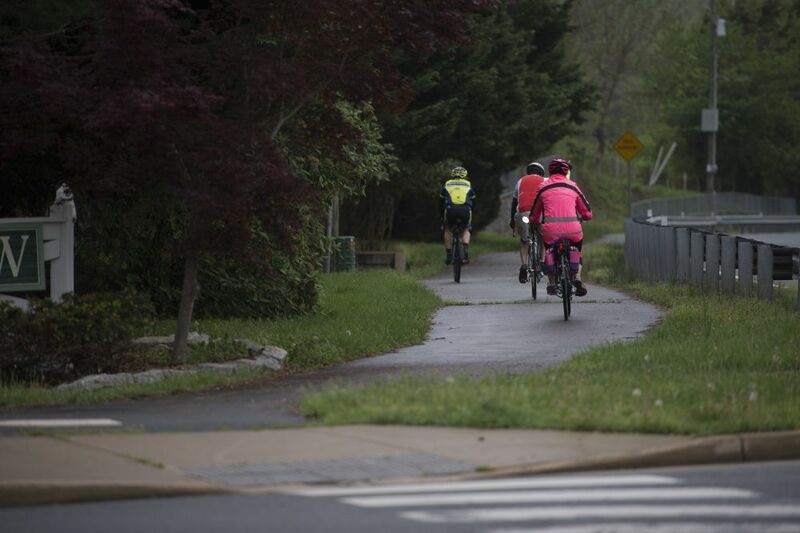 Dennis Kruse, president of Bike Loudoun, said the new trails were made possible through the work of Bike Loudoun members and the Leesburg Parks & Recreation Department. The next goal is to add more connections to the network, including connecting the W&OD Trail to White’s Ferry with a designated route. See the map of the Leesburg Bike Trail Network here.